It is easy for ancient historians to forget about farming. Ancient literature does not say much about it, ancient art rarely depicts it, and farming is distant from our own lives. Yet most people in the ancient world made most of their living by farming or herding or fishing, and the basic realities of farming pervaded their mental world. 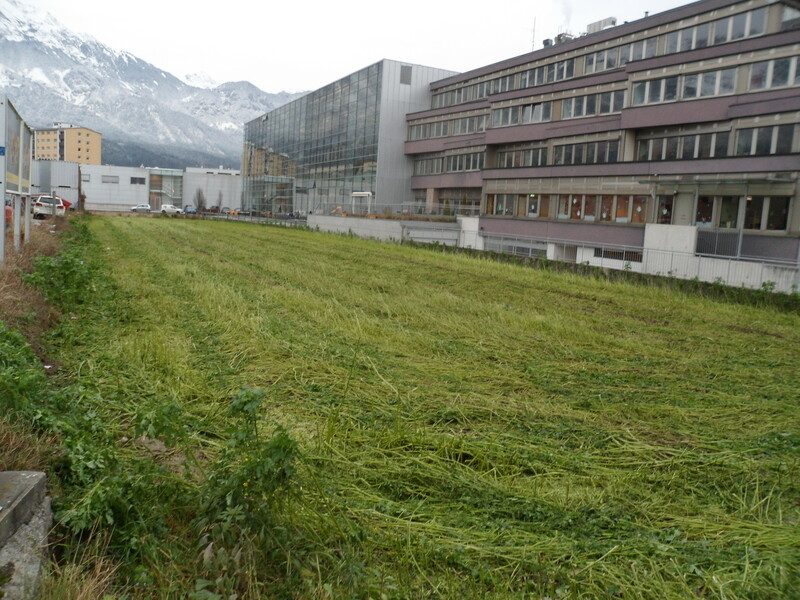 I am therefore glad that some of the land near the Zentrum für alte Kulturen in Innsbruck is still working fields and orchards. 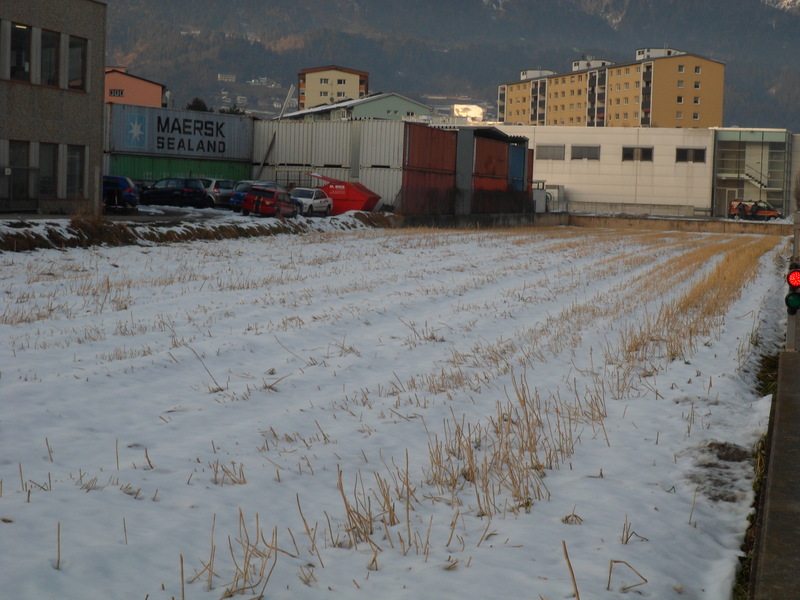 Although the caked soil at the edge of the field is marked by the tyres of the farmer’s tractor and not the hooves of his oxen, and the plot is crammed between a modern glass monstrosity, the loading dock of a supermarket, and a concert hall built out of shipping containers, it is still worth watching as the seasons turn. 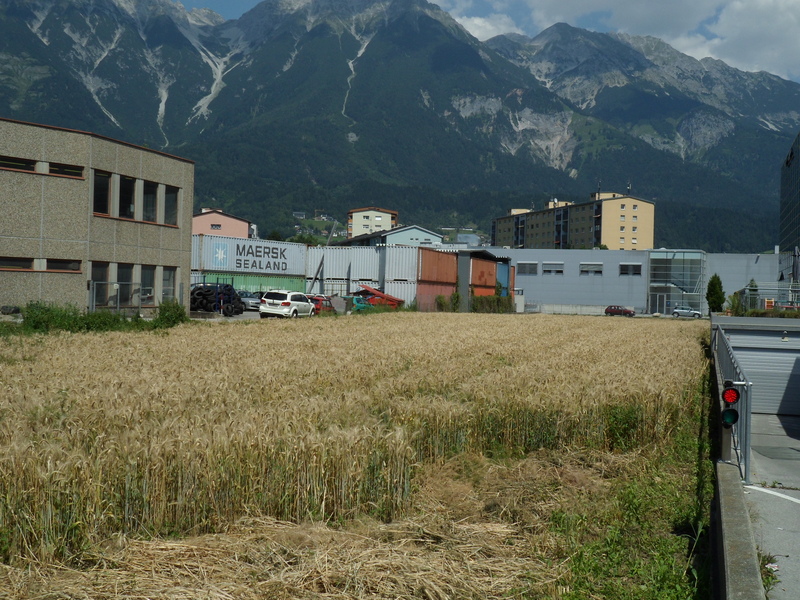 In July, the grain was high and almost ready to harvest. I missed the harvest due to some other distractions in August and September. 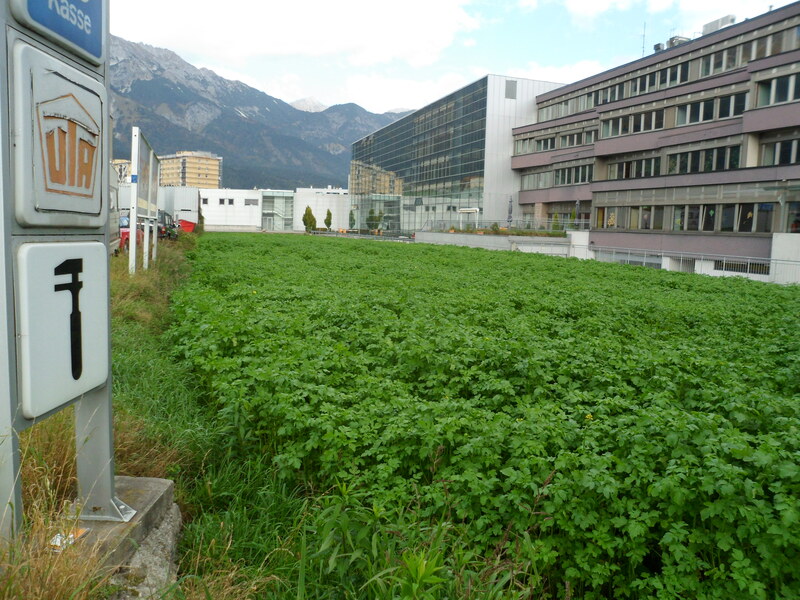 In fall, the farmer planted something green and leafy (fodder?) After a sunny September, the crop was lush in October.